Florence Knoll Bassett, a pioneering designer and entrepreneur who created the modern look and feel of America’s postwar corporate office with sleek furniture, artistic textiles and an uncluttered, free-flowing workplace environment, died on Friday in Coral Cables, Fla. She was 101. To connoisseurs of Modernism, the mid-20th-century designs of Florence Knoll, as she was known, were — and still are — the essence of the genre’s clean, functional forms. Transcending design fads, they are still influential, still contemporary, still common in offices, homes and public spaces, still found in dealers’ showrooms and represented in museum collections. Ms. Knoll learned her art at the side of Modernist masters. She was a protégé of the German-American architect Ludwig Mies van der Rohe and Eliel Saarinen, the Finnish architect and teacher and the father of the architect Eero Saarinen. And she worked with the renowned Bauhaus architects Walter Gropius and Marcel Breuer. Throughout her career, influenced by the German Bauhaus school of design, she promoted the Modernist merger of architecture, art and utility in her furnishings and interiors, especially — although not exclusively — for offices. In the 1940s, she married and became a business partner of the German-born furniture maker Hans Knoll, and over 20 years she was instrumental in building Knoll Associates into the largest and most prestigious high-end design firm of its kind, with 35 showrooms in the United States and around the world. Hans and Florence Knoll around 1945.Creditvia Knoll Inc. While her husband handled business affairs, Ms. Knoll was the design force of Knoll Associates. It grew to become the leading innovator of modern interiors and furnishings in the 1950s and ’60s, transforming the CBS, Seagram and Look magazine headquarters in Manhattan, the H. J. Heinz headquarters in Pittsburgh and properties across the United States, Europe, Asia and South America, including American embassies. Even replicas of such designs were expensive to produce, involving some hand-crafting, and retail prices ran into the thousands despite Ms. Knoll’s cost controls. The frame of the Barcelona chair, for example, originally nine steel components bolted together, was designed as a seamless piece of stainless steel, and cowhide instead of pigskin was used for seat and back coverings. “Her exactitude could be frustrating for those who worked under her,” the website LiveAuctioneers .com said of her in a profile. Besides the Philadelphia museum, her work is in the collections of the Museum of Modern Art and the Metropolitan Museum of Art in New York and the Musée des Arts Décoratifs in Paris. To market their merchandise, the Knolls established showrooms in Chicago, San Francisco, Los Angeles, Dallas and other American cities, as well as in Europe, Asia and South America. They kept their New York showroom, but moved the base of operations in 1950 to East Greenville, Pa., northwest of Philadelphia. After Mr. Knoll died in a car accident in 1955, Ms. Knoll succeeded him as president and held that post until 1960. Although she sold her interest in the company, she remained as its design director until 1965, when she retired to a private practice in architecture and design in Florida. In her last decade at Knoll, the company doubled in size and became one of the nation’s most influential design organizations. In 1943, she became a designer for Mr. Knoll, the scion of a family that had founded a furniture business in Germany in 1865, who had established his own furniture business in New York in 1938. 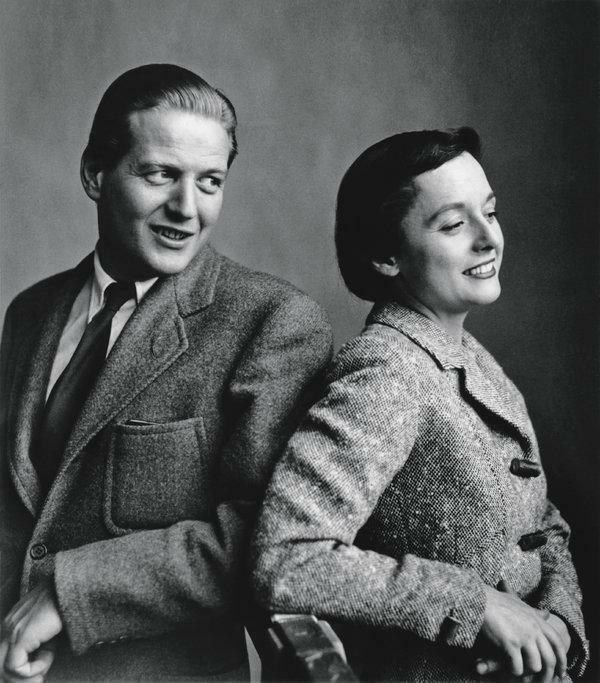 They were married in 1946, and she became his partner in Knoll Associates. With her connections to architects and designers, the company expanded rapidly with its modernist collections. In 1958, Ms. Knoll married Harry Hood Bassett, a Miami banker. He died in 1991. Ms. Knoll Bassett donated her papers to the Smithsonian Institution in 2000. In 1961, she became the first woman to receive the Gold Medal for Industrial Design from the American Institute of Architects, and in 1983 she won the Athena Award of the Rhode Island School of Design. Next PostNext White Collar Watch: Russian Lawyer at Trump Tower Meeting Is Indicted in Another Case. But Why?